The Loqui Speech Pathology Team currently consist of speech pathologists with extensive experience working in aged care. The team members meet regularly and have developed practice guidelines to provide a service that is consistent across staff and sites. The team regularly discuss and peer review their clinical services to ensure they are in accordance with prescribed professional and ethical standards. All team members are Practising Members of Speech Pathology Australia, hold current National Police Checks and are covered by Professional Indemnity and Public Liability insurance. Bachelor of Speech Pathology. Certified Practising Member of Speech Pathology Australia. 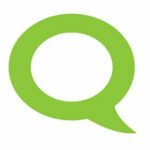 Member of Australian Aphasia Association. Member of Australian Voice Association. Bernadette has more than 24 years’ experience working in both hospital and community settings and has more than 15 years’ experience servicing aged care facilities. Bernadette is a highly competent speech pathologist, with excellent communication skills and she enjoys working with many aged care providers and clients with voice, swallowing and communication issues. Bernadette has a high level of experience working in the areas of aged care, head and neck cancer, voice, degenerative neurological disorders, and spinal and tracheostomy management. 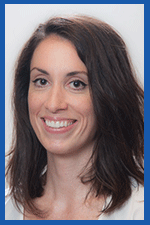 She has extensive experience in complex dysphagia management and palliative care. Bernadette is a clinical educator for The University of Queensland and Australian Catholic University speech pathology student voice clinics. She is also a guest lecturer at the University of Queensland to students on ethical issues in private practice and augmentative communication. Bernadette is a certified practitioner of the Lee Silverman Voice Treatment (LSVT) technique for the treatment of people with Parkinson’s disease and is regularly involved in quality improvement projects. She advocates for her clients to be able to eat and drink safely and communicate to the best of their ability. When given the chance, Bernadette will head out on her bike, go to the beach with her family or catch up with friends over dinner. Master of Speech Pathology. Bachelor of Behavioural Science (Psychology) (Hons 1). Certified Practising Member of Speech Pathology Australia. Ashley is passionate about speech pathology in aged care with a strong focus on the holistic management of people requiring speech pathology in residential facilities. Ashley is currently undertaking her PhD studying “The impact and effectiveness of communication partner training, delivered face-to-face and via telerehabilitation with health practitioners and people with aphasia.” Ashley has co-authored journal articles for medical journals and presented at national and international conferences on acquired language disorders. 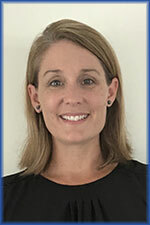 She has a strong evidence-based approach to speech pathology intervention and has extensive experience in facilitating research and quality improvement projects including communication partnership training and dysphagia education. Master of Speech and Language Pathology. Bachelor of Speech and Hearing Science. Certified Practising Member of Speech Pathology Australia. Laura has a passion for supporting adults and elderly members of our community through positive communication, safe and enjoyable mealtimes and family engagement. She believes in using a combination of both evidence based practice and a strong focus on quality of life to support fun and active engagement in everyday activities.Laura believes in working closely with clients’ families and friends to facilitate positive outcomes for clients. In residential aged care facilities, this also involves including staff from all areas – from kitchen to nursing staff, laundry, and lifestyle therapists: everyone has a role in supporting elderly members of our society to live well. She is passionate about ensuring clients have enjoyable mealtime experiences, regardless of whether their diet includes modified texture food or drinks. Laura is also driven to facilitate positive end of life care, ensuring the ‘sunset’ period of a person’s life is as enjoyable as possible. In addition to aged care, Laura has worked in the disability sector, supporting clients with a range or physical and/or intellectual disabilities. She is a certified Lee Silverman Voice Treatment (LSVT) clinician, adept in providing voice therapy for people with Parkinson’s Disease. In her spare time, Laura loves to do what she supports others to do – have a chat with family and friends over a coffee or delicious meal! Masters of Speech Pathology. Certified Practising Member of Speech Pathology Australia. Angela graduated with a Masters of Speech Pathology from the University of Queensland after completing her Bachelor of Arts, with a double major in Linguistics and Psychology in Canada. 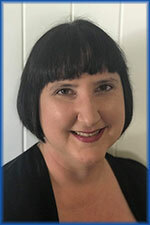 Angela has clinical experience in working with adult populations with various diagnoses in a number of settings but has chosen to focus and build her clinical skills within aged care. She is qualified in the Lee Silverman Voice Treatment (LSVT) technique for the treatment of people with Parkinson’s disease. Angela is very passionate about a speech pathologist’s role in palliative care. She thoroughly enjoys providing tailored education on the topics of dysphagia, the impact of sensory losses on communication and swallowing, and acquired communication difficulties. Angela is skilled at tailoring management plans to meet the client and family goals and ensuring quality of life is maintained when delivering therapy. Angela is a proud advocate for her clients and understands the importance of including clients, families and carers in her practice. Angela is committed to ongoing professional development and is a member of a number of special interest groups and social media platforms to assist her in providing evidence based practice to the highest standard. Angela is a self-described people person and dedicates her spare time chitchatting with friends over food and drink or escaping to the coast for lazy beach days. Bachelor of Speech Pathology (Hons). Deans Commendations for Academic Excellence Award Certified Practising Member of Speech Pathology Australia. 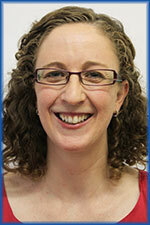 Sophie provides holistic, high quality, evidence-based speech, swallowing and language intervention to her clients. She is particularly passionate about improving the meal-time experience for people living in aged care with swallowing difficulties. When on site she will work together with the client, their family, and the facility staff to maximise the client’s swallow safety and meal-time experience. Sophie advocates communication as a basic human right and essential for every day interactions to convey meaning, express needs, wants and opinions. 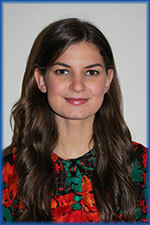 She enjoys working with clients in striving to improve their speech and language. She is able to support people with all degrees of aphasia and motor speech disorders for ongoing speech therapy in their home, the clinic or via telehealth to maximise their communication. Sophie works with clients to ensure they have the most optimal way to communicate to the best of their abilities and is able to support the use of low and high tech augmentative communication aids (AAC). Sophie loves catching up with friends and family, and exploring many of South East Queensland’s beautiful bush walks. Quiz her about sport, as she is up to date with many codes particularly Rugby, AFL and Netball. Bachelor of Speech Pathology Member of Australian Group on Severe Communication Impairment. Certified Practising Member of Speech Pathology Australia. From the aged of 14, Natalie knew she wanted to be a Speech Pathologist. She is passionate about providing evidence based speech pathology assessment and intervention for adults with communication and swallowing issues resulting from neurological, medical issues and intellectual disability. Her ‘never give up’ mindset has improved the lives and communication participation of those she supports. Natalie strives to empower clients and those who support them by going ‘above and beyond’ to share knowledge and listen to individual needs and goals. 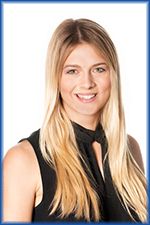 Natalie has extensive leadership and advocacy experience on a National level at Speech Pathology Australia (SPA). She is a former member of the Board of Directors (Council) of SPA, consulted on several of the Associations’ past National Strategic Plans, was on the SPA National Conference planning committee in 2016 and was SPA’s National Representative of the National Rehab Alliance for 2 years. Natalie is a Clinical Educator for Curtin University students – imparting her wealth of knowledge and supporting students to provide exceptional speech pathology assessment and intervention to clients living in the community and aged care facilities. Natalie is highly experienced in the Montessori approach in aged care and facilitates communication and musical reminiscence groups. She has also been a guest lecturer at the Western Australia Dementia Training Study Centre and is leading the way in empowering communication engagement for everyone. Natalie’s zest for life and mission to improve the lives of those she supports is infectious. Her career has taken her from beautiful Tasmania to County Wicklow in Ireland and now settling in Perth with her family. Natalie has a wonderful husband and three beautiful, small children who she loves spending time with, including on family bike rides, picnics and at the beach. Her role as a parent has led to another important and much coveted title: Lego Master Builder. Master of Speech Pathology. Bachelor of Business (International Business and Economics). Certified Practising Member of Speech Pathology Australia. Julie is passionate about making a difference to the clients she visits in the home. She finds home visiting an extremely rewarding area of speech pathology practice. Julie enjoys helping people work towards their own personal swallowing and or communication goals and makes therapy practical and relevant to their individual lives. She has experience supporting people in the palliative stage of their lives and maximising quality of life for these clients. Julie works in the tertiary hospital and community setting. She understands the importance of working collaboratively with hospital and community services to ensure accurate information is shared between each client’s GP, Specialist/s, Allied Health professionals and/ or home care provider. Julie loves being active in the outdoors, and when given the chance will take advantage of what the Redcliffe Peninsula has to offer either by foot or on her bike. Bachelor of Speech Pathology (Hons). Bachelor of Health Science (Public Health). Certificate of Dental Therapy and Academic Upgrade. Certified Practising Member of Speech Pathology Australia. Deb supports clients living in their home or in aged care facilities, providing comprehensive assessment and management of communication and swallowing disorders. She has a particular interest in aphasia and communication therapy and advocates for optimal client communication within daily communication needs. 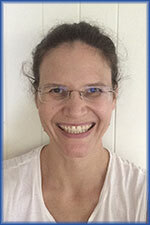 She brings to the Loqui team both experience as a Speech Pathologist and Oral Health Therapist. Deb has extensive experience working with clients from diverse cultural and socio-economic backgrounds and the provision of culturally sensitive health care. Deb’s extensive knowledge and understanding of oral health complements her speech pathology swallowing management. Together with Bernadette Dutton, Deb is collaboratively working with the University of Queensland’s Dental School and The Lantern Project Australia on an Oral Cares project to empower carers to deliver best practice oral hygiene in aged care. As part of the Loqui Team, Deb is increasing the profile, practical implementation and importance of oral health in aged care to minimise aspiration pneumonia and improve nutrition. On completion of her Bachelor of Speech Pathology degree, Deb was the University of Queensland’s Valedictorian for the School of Health and Rehabilitation Sciences. She has volunteered in the University of Queensland Aphasia and Tele Rehabilitation Clinics and is a part-time research assistant involved with aphasia at the University of Queensland. In her spare time, Deb devotes her time to family and friends. Involvement with her children’s cricket games is a frequent weekend activity for Deb, supporting her children’s love of the game. She also delights in camping in the great outdoors, sitting down with a good book or exploring the beautiful Redland City. Bachelor of Speech Pathology (Hons). Certified Practising Member of Speech Pathology Australia. Clare has 20 years of speech pathology experience gained both domestically and internationally. Her holistic focus to therapy ensures optimum outcomes for clients and is reflective of her extensive experience with clients of all demographics aged 0-104 years. Clare enjoys supporting clients, families and carers to maximise swallowing, mealtime management, communication and quality of life outcomes. She designs effective therapy strategies and empowers others to support people with swallowing and communication issues. Clare’s community focus and “giving back mentality” has taken her to Guatamela and West Africa as a volunteer speech pathologist. Her varied roles included teaching primary school aged children and empowering mothers of children with intellectual disabilities to improve communicative effectiveness for their children. Clare designed and wrote proposals for marginalised and impoverished regions in The Gambia which successfully resulted in funding from The United Nations Food and Agricultural Organisation and the Canadian International Development Association Funding to implement required change in The Gambia. Clare enjoys travelling with her family and can often be found swimming in the croc free waters of Far North Queensland. Bachelor of Health Science. Master of Speech Pathology. Certified Practising Member of Speech Pathology Australia. Ysabel is passionate about Speech Pathology where her support of clients allows her to have a direct and positive impact on people’s lives. Ysabel has a particular interest in communication impairments, augmentative and alternative communication, and disability supports for adults. Developing and supporting individualised and personalised goals for each client is her key motivation in speech therapy. Ysabel is proficient in the assessment, diagnosis, management and referral of dysphagia, aphasia, cognitive impairment and dysarthria. She enjoys working collaboratively with other allied health professionals, nursing staff and catering staff. 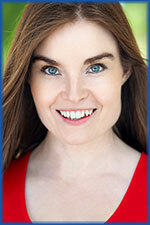 She is skilled in the area of voice therapy for adults and children including transgender voice training. In addition, Ysabel is a team player with a strong volunteering focus, dedicating her time with the Australian Ski Patrol Association as a Ski Patroller in Tasmania and New South Wales as well as volunteering with the Royal Guide Dogs. Bachelor of Speech Pathology. Member of Australian Voice Association. Certified Practising Member of Speech Pathology Australia. 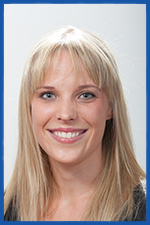 Elizabeth has advanced clinical skills in the assessment and diagnosis of voice disorders. Collaborating and contributing to National Voice Special Interest Groups. Together with Bernadette Dutton, she manages Brisbane Voice Clinic. She has particular interest in Chronic Refractory Cough, Vocal Cord Dysfunction/ Paradoxical Vocal Fold Movement and voice therapy for professional voice users. She has worked in Queensland Hospitals as a senior ENT speech pathologists. Elizabeth conducts community choirs and is a skilled singer and musician, having a special interest in contemporary and folk styles. Elizabeth has undertaken extensive professional development in the area of voice with further training in Myofascial Release for Head and Neck conditions. She has presented and published in the area of Vocal Function Exercises, Semi-occluded Tract Exercises for Voice Therapy and Mirror Neurons in Vocal Pedagogy. In 2017, she was involved in the international research – ‘Sing To Beat Parkinson’s Project’ for the Queensland Conservatorium of Music and ran the 24 week ‘Red Hot Chilli Parkies’ Singing Group. She is proficient in the use of Phonanium Acoustic Analysis Software and research standard recording equipment, for calibrated and precise acoustic measurements. In 2014 she was awarded Outstanding Contribution to the Australian Voice Association and in 2012 was certified as Voice Therapy Spectrum Clinical Provider (Multi-Voice Dimensions) and Figure Proficiency with Estill International. Bachelor of Applied Science – Speech Pathology. Masters of Communication Disorders. Masters of General Linguistics. Bachelor of Arts. Postgraduate Certificate in Health Leadership and Management. Certified Practising Member of Speech Pathology Australia. Helga brings to the Loqui team her passion for providing evidence based practice and person-centred Speech Pathology services. She enjoys sharing her skills and knowledge with others through facilitating education and workshops and ensures she continuous to develops her own skills as well. She facilitated a community workshop on auditory processing difficulties with Associate Professor Mridala Sharma from Macquarie University and has provided numerous in-services on the facilitation of safe swallowing, oral care, and maintenance of nutrition and hydration. She aims to tailor her services to meet the individuals’ or organisations’ needs and capabilities, taking into account the bigger picture when providing services in residential aged care facilities. Helga finds eternal entertainment in her mystery mix dog, landscaping, and drawing and relishes the beauty of the far south coast of NSW. She speaks English Dutch & German and basic French and Spanish. Bachelor of Speech Pathology.Certified Practicing of Member of Speech Pathology Australia. Certificates in Personal Injury Management. Rebekah is an experienced speech pathologist based in Melbourne who has worked in education, private and community based settings. Rebekah is an avid advocate about partnership and sharing skills in order to provide effective and successful speech pathology services for all. Rebekah appreciates a key part of her role is to empower family, carers and other health providers as key agents of change, to increase people’s quality of life impacted by communication and swallowing challenges. Rebekah has experience in aged care, progressive neurological conditions, acquired brain injuries, hearing impairments, and voice. Rebekah is also a certified practitioner of the Lee Silverman Voice Treatment (LSVT) technique for the treatment of people with Parkinson’s disease. Outside of her speech pathology work, Rebekah loves music and the creative arts and even enjoys dabbling in some acting herself when the opportunity arises! Bachelor of Speech Pathology. Certified Practising Member of Speech Pathology Australia. Ursula has more than 15 years’ experience managing complex communication and swallowing disorders in hospital, aged care and community-based rehabilitation settings in Toowoomba, Mackay and Brisbane. 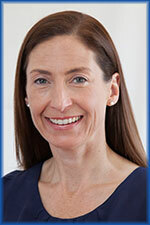 She strives to deliver quality evidence based therapy that leads to a better quality of life. 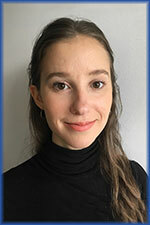 Ursula has a special interest in dysphagia therapy and rehabilitation, including safe swallowing strategies, manoeuvres, postural and bolus control techniques along with appropriate exercises to strengthen swallowing muscles in the mouth and throat. She is also skilled in the areas of speech and language therapy and is always excited when her clients make gains which allow them to communicate more clearly! She prides herself on her excellent communication skills and ability to establish good working relationships with colleagues, clients and their families and believes in a functional therapy focus to increase the likelihood of practical outcomes that are personalised for each client. In addition, Ursula has an avid interest in providing education to other health professionals and community groups and clinical practice supervision to students and colleagues. Interestingly, Ursula is also an authorised Civil Celebrant and enjoys creating and presenting personalised wedding ceremonies. When she is not working, you are likely to find Ursula engaging in a spot of retail therapy, going to the movies or spending time with her wonderful husband and beautiful children. Bachelor of Health Science. Master of Speech Pathology Australia. Certified Practising Member of Speech Pathology Australia. 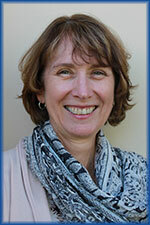 Theresa provides speech pathology assessment and intervention for Victoria clients living in aged care facilities. Theresa is skilled in the assessment and management of clients with complex communication and swallowing disorders including trachesotomy and laryngectomy care and management. 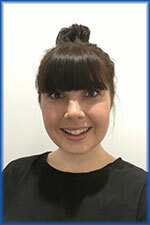 She has a keen interest in the treatment of dysphagia and practises a holistic approach to client-centred care by collaborating with the client, their carers, allied health professionals, nursing and catering staff to develop individualised goals and treatment strategies for every client. Theresa has undertaken professional development designed to foster and develop a greater understanding of respect for people’s rights and dignity in the aged care setting. When not working, Theresa enjoys scouring Melbourne’s cafes with her friends in search of the ultimate coffee. She is also an avid AFL fan who loves supporting her local team, the Western Bulldogs and will never get over their premiership win in 2016. Bachelor of Speech Pathology (Hons). Member of Australian Aphasia Association. Certified Practicing Member of Speech Pathology Australia. 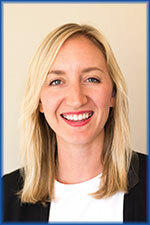 Bryony is passionate about providing evidence-based, holistic communication and swallowing intervention to all clients. She is committed to providing client focused support to enhance meal-time experiences for all individuals. Bryony is a strong advocate for her clients, as communication and swallowing are basic human rights. Bryony is committed to providing the best speech pathology services to assist individuals in improving their swallowing and communication. Bryony is particularly interested in dysphagia, aphasia and augmentative and alternative communication for adults. She loves the collaborative experience of team environments, and enjoys working closely with other allied health professionals, nursing and catering staff. Bryony has recently relocated to South Australia, so loves exploring her new home on the weekends with her husband and English Springer Spaniel. She is an avid netball player, caffeine consumer and brunch enthusiast. Bachelor of Speech Pathology. Certified Practicing Member of Speech Pathology Australia. I am passionate about aged care and strive to provide an holistic approach to the residents I support. I advocate strongly for residents to be involved in their own decision making in relation to their speech pathology input. I enjoy working in collaboration with allied health professionals, kitchen staff and nursing staff to ensure the best quality care is being provided. I believe strongly in the power of education and knowledge so strive to provide staff with relevant and current information in regard to communication and dysphagia management. I enjoy providing professional education to the staff at aged care facilities to ensure correct practices are being implemented. I believe strongly in quality of life and aim to deliver speech pathology practices that meet the resident needs. Outside of work, I enjoy being a mum to my 2 children and spending time with them. Bachelor of Speech Pathology. Masters of Health Science – Stroke Rehabilitation. Certified Practicing Member of Speech Pathology Australia. Sue throughly enjoys being a speech pathologist. 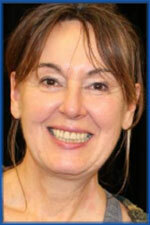 She has over forty years of clinical practise managing complex care. 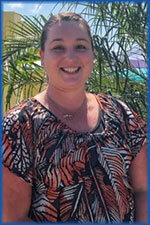 She has worked in varied settings including community, hospital and aged care. She has worked in Australia, United Kingdom and Southern Africa. She has advanced skills in neurological impairment. In 2017, to further enhance her knowledge base in rehabilitation, she completed a Masters in Health Sciences – Stroke Rehabilitation. She has a special interest in muscle movement and its impacts on eating and swallowing, especially in the areas of dysarthria and apraxia. As a rehabilitationist, she believes in an holistic approach to care to maximise each client’s potential for their eating enjoyment and communication. She is a strong advocate for her clients and believes in a person-centred care approach. She endeavours to achieve the goals of each of her clients, to allow for a better quality of life. She enjoys education and spending time with family, staff, other speech pathologists and students. Sue is an avid reader and tea connoisseur. She enjoys gardening and connecting with the many native birds and wildlife that visit her garden oasis. In hindsight Shae was always destined work in healthcare and supportive services. Work experience in high school sparked an interest in healthcare and then more specifically in speech pathology. During her university studies she developed a strong connection to the universal right of people to communicate and the importance of connection for life and wellbeing. After all, communication is a primary skill for daily life, relationships and friendships. 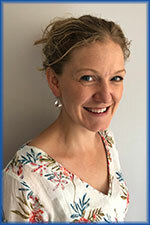 After nearly 20 years as a speech pathologist Shae is a passionate clinician and client advocate. Shae values collaborative working relationships with all involved in residential care to then assist with thorough and holistic dysphagia , communication and cognitive assessments. In her spare time she loves venturing out on her mountain bike into the bush, downhill skiing , camping and gardening. Bachelor of Speech Pathology (Honours). Certified Practicing Member of Speech Pathology Australia. Grace is committed to providing high quality, evidenced based speech pathology services to each of her clients. She recognises that a person’s ability to engage meaningfully with others and express themselves is one of life’s greatest gifts. This motivates her to assist individuals with communication difficulties to reestablish or maintain their communication skills. She also loves to support people with swallowing difficulties to maximise safety and enjoyment during eating and drinking. Grace works with people in their homes and in aged care facilities, and strives to make assessment and therapy both relatable and tailored to an individual’s goals. Having come from a tertiary hospital background, Grace has diverse clinical experience in areas including neurosurgery, stroke, rehabilitation, tracheostomy management and cancer care. Outside of work time, Grace loves to explore new cafes, head to the beach and spend time with her family. Donna keeps each Loqui Speech Pathologist well organised and supported so they can deliver great speech pathology to their clients. She is responsible for the day-to-day operations of Loqui and ensures all compliance, IT processes and administration tasks are up to date. Donna’s background is in administration and IT. In her early career, she has worked in Office Management and IT before taking time off to raise her 3 children. Now she can use all this experience to support the Loqui Speech Pathologists with all their administration needs. Donna loves knowing she is working for an organisation that genuinely strives to improve the lives of the clients it supports.In her spare time, she manages the logistics of transporting and supporting teenage children. She enjoys spending time with family and friends, eating good food prepared by someone else, and perfecting her creative skills of painting, drawing, sewing and jewellery making. Bachelor of Applied Science (Speech Pathology). Certified Practising Member of Speech Pathology Australia. 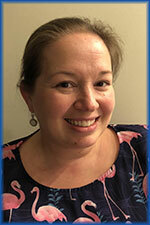 Sue brings her extensive speech pathology experience from more than 20 years of practice to the Loqui team. She strives to ensure that her client’s optimum care needs are met. She advocates for safe enjoyable eating and drinking, while balancing individual care needs and wishes.Sue is passionate about ensuring people living in rural and regional areas have access to quality speech pathology, complementing the Telehealth practice. She has a person-centered approach to therapy and brings quality speech pathology practice to clients with mobile speech pathology services into residential aged care facilities. In her spare time, Sue enjoys walking, swimming and kayaking in the majestic areas of NSW Mid North Coast. Head and Neck Cancer – Speech Pathology Google Group. Loqui’s mission is to service aged care facilities with compassionate, enthusiastic and experienced speech pathologists with a thorough understanding of speech pathology in aged care. We pride ourselves on developing close links with all facility staff, residents and their families to ensure optimum care needs are met while balancing medical needs, personal preferences and the resident’s overall quality of life.